Jeremy Ramage didn’t set out to be a politician. When commissioner positions became available in the City of Union in 2014, people began to talk to Ramage about the possibilities of him running for one of the open commissioner spots. Since he didn’t have any aspirations running for mayor (which was also open at the time), becoming a commissioner made more sense, so Ramage went out and campaigned and was elected commissioner in 2014. Ramage lives by the motto of his Alma Mater, West Point – Duty, Honor, Country. In 1997, he graduated from the prestigious US Military Academy at West Point, and was commissioned as an officer in the US Army. Ramage is originally from Indianapolis, but has moved around frequently due to his service the military as a helicopter pilot. The time Ramage spent in the service brought him structure and leadership. Ramage doesn’t get offended easily when others are upset and has learned the ability to multitask, from time spent juggling his family, a full-time job and his duties as a commissioner. Trained as a mechanical engineer, Ramage likes to figure out how things work and solve challenging problems that may come up. Ramage feels that if you can treat issues like a project, you can resolve them. “Whether if it’s a fence issue or a pothole issue or EDC planning, all those become projects that are interesting to me and keep me motivated,” Ramage added. Ramage has always had an aspiration to serve. He thinks that serving is a representation of how things should be in government, but isn’t always the case for everyone. He also believes that there needs to be actions taken in order to see progress, even if the issue is unpopular. After his tour in the service, Ramage started working as Food Engineer at The BOC Group, a natural gas application supplier. After receiving his Masters of Business Administration from Anderson University, he switched over to the business and sales side of things. Ramage currently works in outdoor bulk sales at Matheson Tri-Gas selling industrial gasses such as nitrogen, oxygen, argon, carbon dioxide, etc. for applications. Matheson is regionally-based in Carrollton, KY and Middletown, OH and provides gasses for food, beverage, automotive, and beyond. Although he stepped out of military service officially by 2005 and moved to Union in 2007, he has always looked to serve the community in some capacity, whether that’s doing Catholic charity work at St. Timothy’s Church, serving meals with West Point Society of Cincinnati, volunteering with Veterans Affairs, or within the Union community. 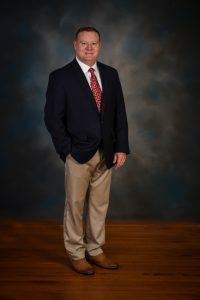 Ramage is excited to see the results of what the commission has been trying to accomplish, having been a part of some of these things from the beginning, including the development of the new Kroger building and some of the road changes being implemented. Ramage sees an opportunity for improved communication and feedback from the Union community. He sees that Melissa Hinkle, the Communications and Operations director, is making positive changes to the city website and social media, however more feedback on community engagement and involvement is what he really wants to see happen in Union. He believes that there is a right amount of activities to bring Union together, but would like to see people commenting on what they would like to see for development regarding a Union park and other amenities in the community. “In order to achieve goals like building a town center and restaurants, we need enough support so the commission can decide exactly where we need to make an investment,” Ramage said. Gina, Jeremy’s wife, is an educator at Union Point Academy. 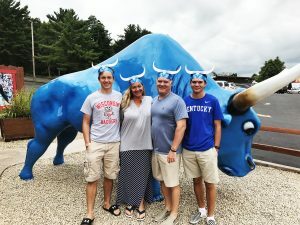 They have two children, Mason and Tanner, who are recent graduates of Larry A. Ryle High School and will be attending UK and UC this fall. In his free time, Jeremy enjoys playing and watching golf, football and racing. He and his family are sports fans and go to quite a few Reds Games, Cyclones Games, and occasionally Florence Freedom games and bowling. Ramage enjoys listening to 80s music and also frequents the Lexington Symphonies at the Singletary Center for the Arts. He and his family have spent a lot of time in Florida and Cancun, where they enjoy the beach.